The subcompact Mazda 2 hatchback is the company's smallest car offered in the U.S. but offers much more interior space than Mazda's two-seater Miata. The Mazda 2 gets an update for 2016, but is already a competent competitor for the Chevrolet Sonic, Hyundai Accent, Kia Rio and Ford Fiesta among others. The Mazda 2 arrived in the U.S. for the 2011 model year. It is the least expensive of Mazda's North American offerings and is sold here only as a five-door hatchback; other markets get a three-door version as well. The next size up from the 2 is the Mazda 3, a compact available as either a four-door sedan or five-door hatch. For the extra money, the 3 also offers many more options and features than its smaller sibling. The Mazda 2's stark interior and simplicity can remind a bit too much of older, simpler small cars. Some of those attributes include its short wheelbase, which produces fore-and-aft bobbing on choppy highway surfaces, and the many hard-and-hollow pieces of trim found inside--more than many competitive vehicles of the same price and size. In appearance, the Mazda 2 follows Mazda's current design direction quite closely, with a simple, neat look overall and a front end that's a more modest iteration of the brand's 'grinning' look. Mechanically, the front-wheel-drive Mazda 2 has what sounds like an old-school economy-car powertrain—a 100-hp, 1.5-liter four-cylinder engine, and a five-speed manual gearbox or four-speed automatic. But thanks to great steering and suspension tuning—as well as a light, 2,300-pound curb weight—we've found the Mazda 2 to be a lot of fun to drive, especially in the city. The Mazda 2 scores EPA fuel economy ratings of 27 mpg city, 34 highway with the automatic or 29/35 mpg with the manual. 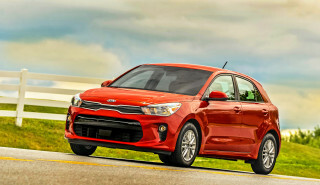 Those numbers might not be as high as some expect for a small, frugal hatchback. In real-world situations, however, we've seen gas mileage toward the upper end of that range. Mazda's 2 has fared reasonably well in standardized safety testing, although 'acceptable' ratings from the IIHS for side and rear impact keep this model out of the top tier. 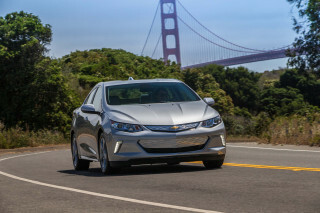 All the features that are now expected, even in small cars—like stability control, anti-lock brakes, and side-curtain airbags—are included, however. 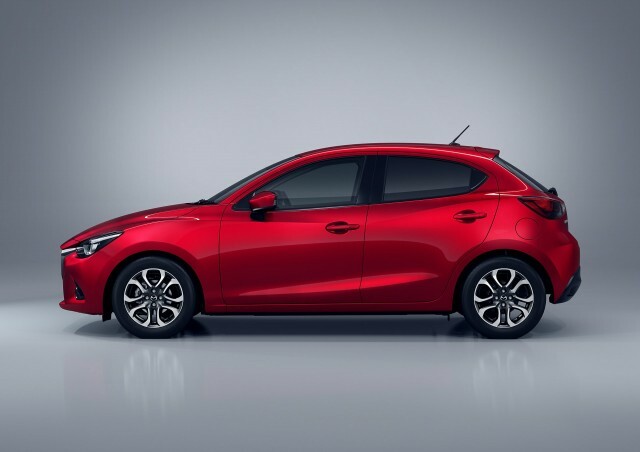 The Mazda 2 is a little more expensive compared to other subcompacts, and somewhat behind the curve in connectivity and features. At a time when shoppers for low-cost subcompacts are expecting some of the same connectivity features—such as basic hands-free calling—as they have in other cars, the Mazda 2 doesn't include them. A USB port was added to both trim levels Mazda 2 for 2013, while Bluetooth remained a port-installed (or dealer-installed) option and navigation isn't offered. While there have been relatively few changes to the Mazda 2 since it went on sale here, a new model is expected for the 2016 model year. It will be built in Mexico and share its platform with the Toyota Yaris as well as a forthcoming Scion sedan model called iA. The 2016 Mazda 2 promises to be more stylish than its predecessor, with design in line with the handsome Mazda 3 that arrived for 2014. 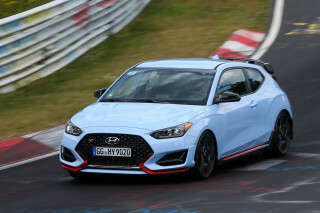 The new model should also offer more in the way of standard and optional features, which will help it appeal to a wider audience than the current 2. The car's EPA ratings have already been announced, with its 1.5-liter Skyactiv engine returning 33 mpg city and 43 mpg highway when hooked to a six-speed automatic, or 31 mpg city and 42 highway with the standard six-speed manual. For those looking for a taller version, Mazda has announced a new CX-3 crossover, also for 2016. It is based on the new Mazda 2 and slots in below the CX-5 crossover, which shares its platform with the 3 and 6. Front-drive is standard on the new model, with all-wheel drive an option. My son and I purchased the Mazda 2 for his first car,after receiving his driver's license at age eighteen. 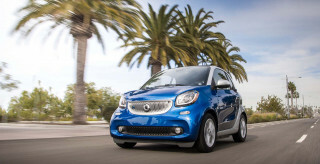 A fun,cute car to drive around in with friends and family. It has ample leg room in the front row and... My son and I purchased the Mazda 2 for his first car,after receiving his driver's license at age eighteen. A fun,cute car to drive around in with friends and family. It has ample leg room in the front row and second row,along with the cargo area. 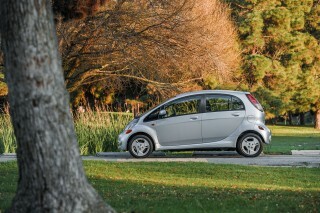 Affordable to own and drive,it gets good gasoline mileage. The interior is basic and simple,nothing fancy about it. A good automobile all the way around. I just bought this car today..Driving home was fun. I was used to driving a big truck and was kind of leery about liking a smaller vehicle. I lover it and it's very cute with great looks and gas mileage.